It’s a nice, sunny morning in July. We’re still smack bang in the middle of the heatwave and I have just arrived in Winsford. It’s a foreign place for me, and I have no idea where anywhere is. That doesn’t matter, because within minutes I’m met by Jacqueline Nevin who has come to collect me. She’s the Clinical and Professional Lead at The Wellbeing Hub run by CWP, which is where I’ll be spending my morning learning about the exceptional services they provide across Cheshire. In the car, we make small talk before Jacqui gives me a quick introduction to The Improving Access to Psychological Therapies (IAPT) initiative which is the national programme of which The Wellbeing Hub is a part. Commissioned nearly a decade ago, (it celebrates its tenth birthday this September) CWP IAPT services in Central Cheshire has been supporting the lives of thousands of people with mental health problems. 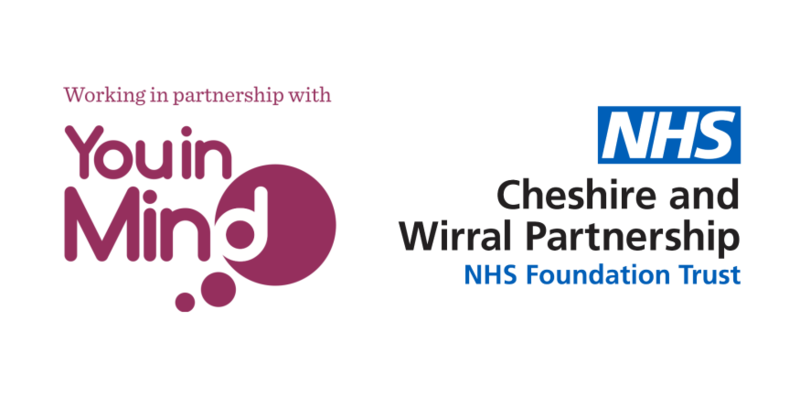 The Trust also provides a much wider range of services to people across Cheshire and Wirral including, substance misuse, learning disabilities, community physical services, and supports people with mental health conditions.. CWP works together in partnership with the clinical commission groups (CCGs), local authorities, carers, voluntary, and independent organisations across the region. As she’s explaining this to me, we arrive at Mental Health Resource Centre in Winsford. An unassuming building next to the town centre, this is where these wonderful people do their miracle work. I’m quickly signed into the centre and taken upstairs. After introducing me to her colleagues, Jacqui takes me to meet the Duty Nurses that are responsible for handling all the referrals they receive from GPs and other health care professionals. In the administration team room are the dedicated team of administrators who take telephone referrals from these professionals and also take a constant flow of self-referrals from patients wishing to access the service. On duty today are Hayley and Lee. I can see immediately my visit is welcomed but also a distraction from their work. Soon it becomes understandable why. Hayley and Lee deal with referrals into their services from all ports of call, this includes referrals from GPs, district nurses, workplaces and even the police as well as self-referrals that need immediate advice. Their time is obviously precious, and I don’t want to be too much of a distraction from their task at hand. Their job is to look over the referrals and make a decision on how to move on. They will look back at a patient’s past history to see whether they need further screening for mental health conditions, whether they need to be referred to secondary services, be assessed by a nurse. In addition to this, they also attend a monthly integrated care meeting with GPs, district nurses and care providers to discuss patients with complex needs. It’s obvious that they work hard to ensure the best for all their patients. What’s even more miraculous, considering the great deal of work they do, is the fact that they both run four ongoing wellbeing services for the local community. These informal groups are aimed at helping people to reduce stress and improve sleep patterns, and they are open to anyone without a referral. I’m immediately impressed by the level of dedication that both Lee and Hayley display in their work. It’s clear that they are professionals that truly care about their work and want to do their best to support those with additional needs. After thanking Lee and Hayley for their time, it’s time to join one of the Clinical Psychologists that works for CWP. We sit down in one of the therapy rooms and she begins to tell me about The Wellbeing Hub, which is aimed at supporting people in the community that have common mental health needs, such as anxiety and depression, using a stepped care approach. The stepped care approach is designed to help people referred to the Wellbeing Hub based on the severity of their condition and to access how well they are responding to the forms of treatment available. Treatment can include support groups, guided self-help, online self-help and individual therapy. Immediately I am told that one of the biggest problems is that patients aren’t seeking treatment early enough. A lot of patients start off with stress, from work life or home life, and instead of seeking help they continue to plough on until their condition deteriorates into depression or anxiety. To combat this, the Wellbeing Hub has introduced a six-week Stress Control Course that is aimed at people with mild stress. 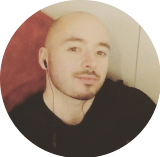 It can be followed either as part of a formal group course, or they can follow an online Cognitive Behavioural Therapy (CBT) course for people that don’t have the flexibility to attend regular sessions. The aim is that at the end of the course patients should feel better about their situations, but if they feel they aren’t, the Wellbeing Hub will review their condition and consider an alternative course of action. From there the steps are focused on acute mental health issues CBT and Counselling; and then further treatments for people with more severe mental health concerns. The aim is to assess what support would suit the person, especially if there is more than one problem, and to ensure they are receiving the right treatment. For instance, CBT isn’t a recognised treatment for bereavement, however somebody would benefit from Counselling. Anxiety, depression, panic, OCD, and PTSD can all be treated by a CBT course and first assessments are usually done over the phone or patients can refer themselves online. After speaking with the Duty Nurse team, the Clinical Psychologist and other members of the team I realise that there isn’t enough awareness about early intervention support for mental health or emotional problems. The biggest problem is that people don’t seek or can’t find help for mild mental health conditions, so it is only later when the situation has exacerbated that they seek treatment. My visit to The Wellbeing Hub made me realise that while we may be talking about mental health more openly, we need to be more aware of how to take care of ourselves. We need to know where we can find local mental health support services before it’s too late. You can find out more about what CWP does, including the Wellbeing Hub, here. Alternatively, you can search for local mental health services near you on our website.